Bahrain’s heritage of crafts and craftspeople’s skills will take centrestage at the Art Bahrain Across Borders – ArtBAB 2019 in a movement aptly titled ‘Artisans Across Borders’. The exciting movement will see global fashion icon and designer JJ Valaya curate the project, transforming Bahraini craft into luxury acquisitions that will be sought-after in luxury branded stores across the world and develop a new appreciation of the timeless craft traditions among a whole new generation of Bahraini craftspeople. ‘Artisans Across Borders’ will unfold in three parts. The first will be a distinctive Artisanal Room at ArtBAB 2019, featuring dramatic large masterpieces which will be special limited edition and bespoke designs with their origins in Bahraini crafts. The second part will consist of stylish commercial interpretations of Bahraini craft pieces that can be retailed at stylish stores around the world as distinctive representations of Bahraini crafts. The third part of the project is the Book of Bahrain, a lavish coffee table book of photographs that will encompass different sights of Bahrain’s persona – architecture, history, portraiture and cityscapes. Valaya emphasised that Bahrain’s legacy of craft skills was a precious resource in the modern world. 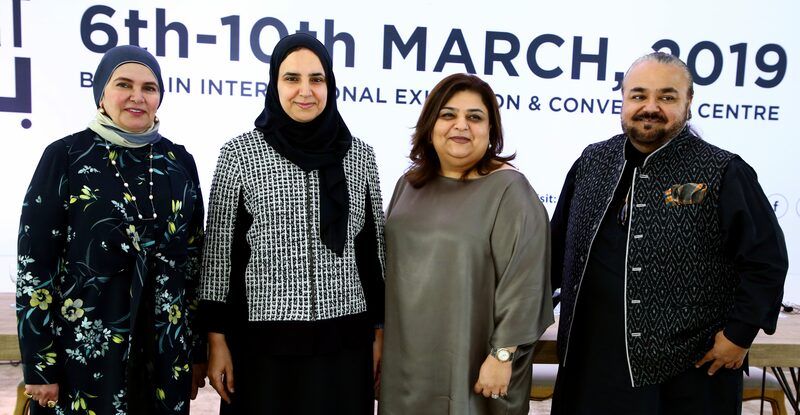 Held under the patronage of Her Royal Highness Princess Sabeekha bint Ebrahim Al Khalifa, Wife of the King of Bahrain and a keen supporter of the Kingdom’s cultural heritage, ArtBAB 2019 is scheduled to take place from March 6 to 10, 2019 at the Bahrain Exhibitions & Convention Centre. Strategic Partner of the event is Tamkeen, Bahrain’s change management agency which supports the building of human resources and the Kingdom’s industrial and knowledge growth management. ArtBAB is designed as a conversation between Bahrain’s artists and the rest of the art world. It has forged a unique identity for itself, as a marker of the Kingdom’s contemporary history as seen through the prism of art. Kaneka pointed out that ArtBAB had grown organically over four years and created a new platform and commercial identity for Bahraini art without compromising on the quality of art.